Hilton Head Oceanfront Homes, Hilton Head Luxury Homes, Hilton head Beach Homes, Sea Pines oceanfront Homes, Palmetto Dunes Oceanfront homes, Hilton Head Real Estate, Forest Beach Oceanfront Homes and Hilton Head Oceanfront Condos. Hilton Head Island is an enchanted sea island community blessed with more than 12 miles of hard-packed, white sandy beaches, with a wealth of magnificent home sites amid incredible natural settings,26 on-island championship golf courses and an additional 40 in nearby Bluffton, Beaufort, Daufuskie Island and Savannah. Loggerhead sea turtles still lay eggs in beach sands, while the oak-laden interior boasts families of white-tailed deer; and the marshy estuaries bordering the mainland are brimming with spot-tailed bass. The alluring waterfront and the stunning views of pristine surf, gentle sand dunes, and panoramic sunsets make this an ideal setting for your luxury ocean front or other dream home. The island retains an atmosphere of sea island seclusion, with all the convenience and amenities of a world-class resort community. Environmental and wildlife protection efforts include extensive landscaping and caretaking of lots and natural habitat areas, assuring that that the historic setting of maritime forest and unspoiled beach will maintain its character. There are impeccable standards set for construction, zoning, and land management. The beauty is in the Hilton Head Ocean Front Homes luxury home market, which offers magnificent waterfront homesand exquisite condos, all set in a desirable climate.Today’s luxury home is defined by personal preferences.The definition of luxury homes goes well beyond simply “enormous and expensive.” Instead, it represents your lifestyle, individuality, and personal taste. And when it comes to choice, Hilton Head Ocean Front Homes represents the best. Marketing and selling a luxury home is an art that has been perfected by the talented luxury real estate professionals who make up our network. Our brokers are luxury home experts and truly are the best of the best at what they do. 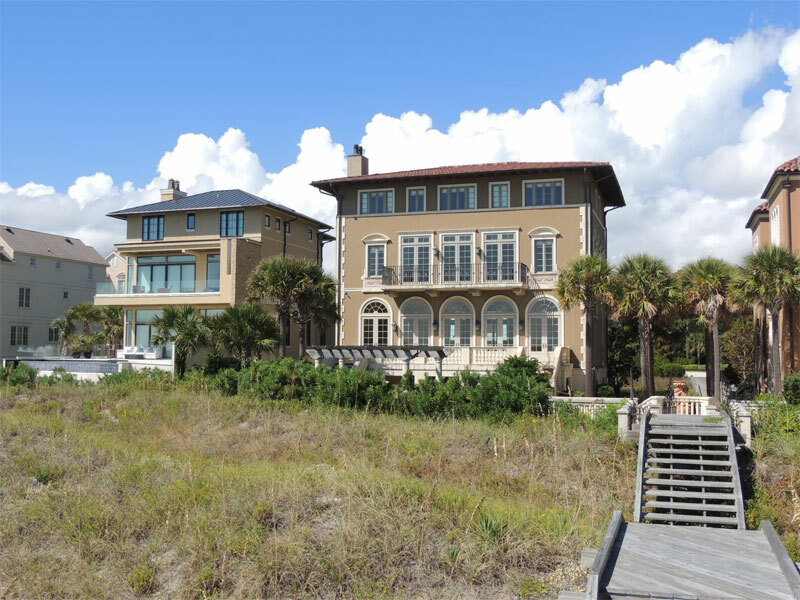 They represent the most spectacular, high-end, luxury properties in the Low Country. Our website, HiltonHeadOceanfrontHomes.com, provides you convenient access to all the listings for the oceanfront, luxury homes and homes in gated communities for Hilton Head Island and Bluffton. Whether you choose to reside in an oceanfront estate, a deep water home, a home on a golf course, or a home in a private golf community, your search starts and ends here. With one click you have free unlimited access to luxury homes in each community priced from $700,000 to $10 Million. With our decades of combined Real Estate experience, Hilton Head Luxury Homes can help you by creating and sending videos or digital photo albums of properties in which you have an interest to review prior to your arrival. We cater to your every need. We can help you locate an interior designer, or a luxury home builder for building or remodeling. We have connections for referrals to attorneys and jumbo mortgage companies to help make the closing go smoothly. When you come to the Island, we will provide you with all the knowledge to help you make the best selection. The Hilton Head Luxury Vacations concierge at www.HiltonHeadLuxuryVacations.com,will assist in finding a place for you to stay when you come to preview. At Hilton Head Luxury Homes we have worked to make it simple for you. We offer free online access to all the listings in Hilton Head and Bluffton at HiltonHeadOceanFrontHomes.com. Let us help you make your dream of owning a luxury home in Hilton Head a reality. Call 1-800-414-SALE (7253) today to make an appointment to view the home of your dreams. Thank you for selecting Hilton Head Luxury Homes – the finest collection of luxury real estate specialists in the southeast.